Summary: From the cabarets of Weimar Berlin to the dazzling film studios of Hollywood’s golden age, an enthralling novel of a glamorous legend Maria Magdalena Dietrich was born for a life on the stage. Raised in genteel poverty after the First World War, the willful teenager vows to become an actress and singer, trading her family’s proper, middle-class society for the free-spirited decadence of Weimar Berlin’s cabarets and drag balls. With her sultry beauty, smoky voice, and androgynous tailored suits, Marlene performs to packed houses—and becomes entangled in a series of stormy love affairs that push the boundaries of social convention—until she finds overnight success in her breakthrough film role as the cabaret singer Lola-Lola in The Blue Angel. But one day, she must return to Germany, escorted by General George Patton himself. In the devastated cities and the concentration camps, she comes face-to-face with how the evils of fascism transformed her country, and the family she thought she knew. Last night, my book club met to discuss MARLENE by C.W. Gortner. I had a feeling that everyone was going to enjoy this novel, and I was right. A few even went as far to say that they loved it. I have been a big fan of Mr. Gortner's for years and I'm so glad my friends now understand what a fantastic historical fiction writer he is. 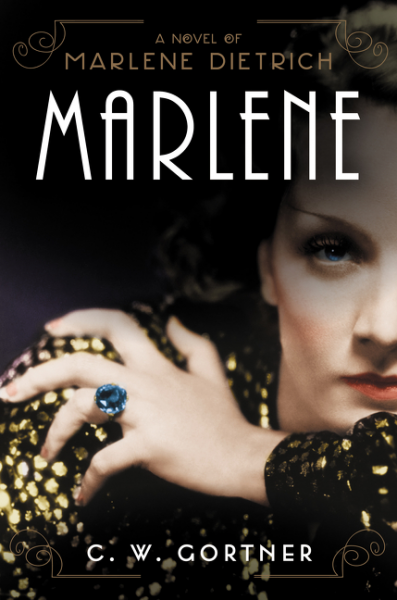 I was a little concerned that we wouldn't have a lot to discuss about MARLENE (and I also know how quickly we get off topic especially during the summer months); however, we did find a lot to discuss about this fascinating woman. We all agreed that she was something... and that's a pretty tame word for her. I think a few might have appreciated how determined she was to be successful, while some others resented her because she wasn't exactly a hands on mother. We did all agree, though, on how much we respected her for the time she spent touring with the USO. There were quite a few things that surprised us about MARLENE. I think maybe that's because none of us were really familiar with her work or her life story. In many ways, she seemed ahead of her time -- although I think it was enlightening to see that in many ways society hasn't really changed all that much. Mr. Gortner's portrayals of the European nightclubs was eye-opening to a few us to say the least. Marlene was also portrayed as being extremely narcissistic. I think we were all a little shocked by her behavior especially as it related to having affairs with both men and women. Basically, Marlene would use anyone and everyone if it furthered her career or her personal satisfaction. In addition, I think it's safe to say that we didn't know how outspoken she was about Hitler and Nazi Germany. Marlene put herself and her family at risk because she saw the writing on the wall pretty early on about this madman. Needless to say, I was pretty sure some comparisons might be made to our present day political situation if you know what I mean. Fortunately, that never happened. I just didn't want to go there at our laid-back little book club meeting! One thing that my group seemed to zero in on was the relationship Marlene had with her mother. Marlene had a difficult relationship with her mother, and despite her success, she never really seemed to stop looking for her mother's approval. We actually found this to be one of the major themes of the story and spent a great deal of time discussion women and their "mommy" issues. 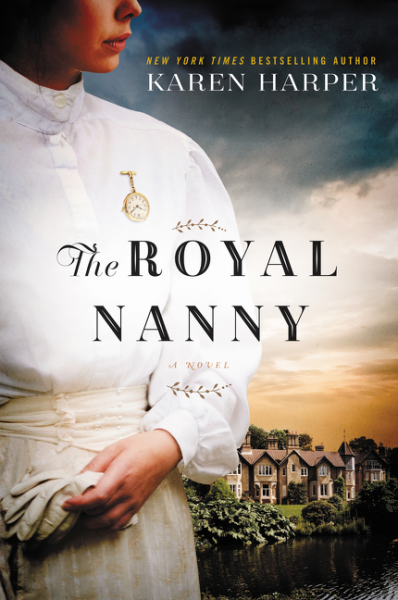 Next month, we will be reading THE ROYAL NANNY by Karen Harper. I have to be honest when I say that this isn't the book I would have picked to read for September, but I was overwhelmingly overruled. Here's to hoping it's a good one! I bet my book club would love to read that!